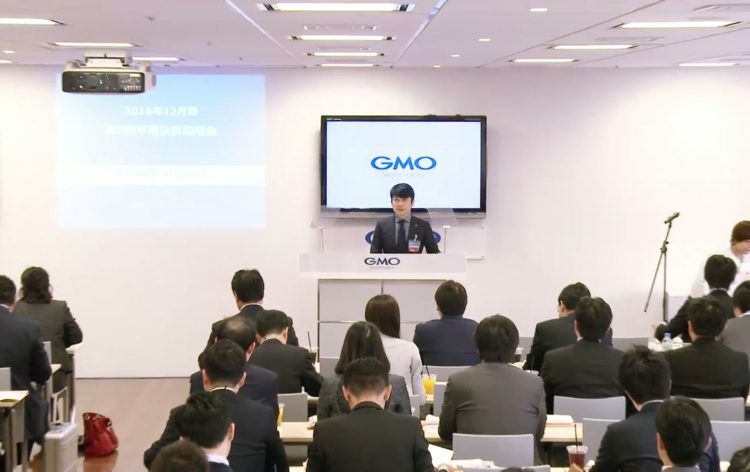 One of the best online service providers in Japan GMO Internet Inc (TYO: 9449) has just announced that it wants to sell parts of its share in its subsidiary GMO Financial Holding Inc. (TYO: 7177). GMO Financial Holdings will still be seeing the same picture, however, with GMO Internet having more than 50% of the total number of voting rights. There is still no information coming out about the GMO Internet’s subsidiary’s secondary offering of shares. However, we do have information about the amount of the primary number of common shares which is 20 million. These shares represent nearly 17% of the total number of voting rights. We are looking at a probability of full disclosure of the offer price in maybe 2 weeks, between October 3rd and October 9th. Basically in the first week of October. Daiwa Securities Co., Ltd one of the major retail service providers in Japan will be receiving by way of over-allotment, a loan of a maximum of 3 million shares in GMO Financial Holdings from GMO Internet. The “Greenshoe Option” will also be a road Daiwa Securities can take when it comes to their decision to purchase additional common shares of the GMO Financial Holdings, it is important to note as well that the amount needs to be up to 3 million shares. Improvement of common share distribution liquidity is what stands behind this agreement for GMO Financial Holdings. If the transaction we’ve mentioned above is completed GMO Internet’s ownership of GMO Financial Holdings will decrease to just 61.1%. However, GMO Financial Holdings will still be a core company in the finance segment of GMO Internet. Due to the sale of shares, GMO Internet has announced that it wants to register all the profit on individual accounts. The transaction, however, will not have any tangible impact on the consolidated results, because of GMO Financial Holdings still being a consolidated subsidiary. In August, GMO Financial Holdings also agreed to do a capital increase for GMO Click Global Markets Inc. The reason for the underwriting was to help accelerate the new business to become a subsidiary. The new business is expected to play a major role in the offering of transaction and individual investor related services to financial institutions worldwide.